Ok, so it's not quite the convenient solution that a simple Bluetooth-based app would be, but Blackberry owners looking for an alternative to Sony's own PS3 keypad may still want to consider Unify4Life's new Game|Shadow dongle / app bundle, which will turn your phone into a full-featured remote and keypad. The app uses the same interface as Unify4Life's separate AV|Shadow system, which the company is only too happy to remind you can be paired with the Game|Shadow to give you complete control over audio/video setup. Head on past the break for a video of the setup in action, and look for it to be available in April for $39.99. 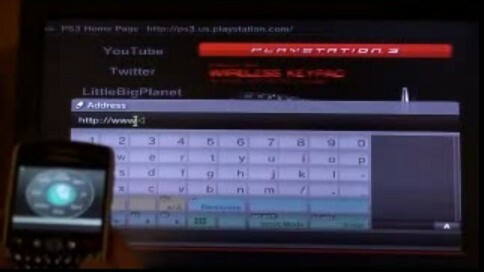 Game|Shadow dongle turns Blackberry into PS3 remote / keypad originally appeared on Engadget on Tue, 13 Jan 2009 19:41:00 EST. Please see our terms for use of feeds.